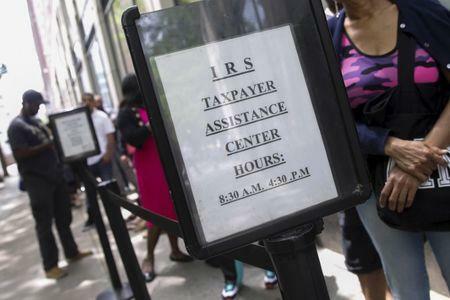 NEW YORK (Reuters) - Tax season in the United States is off to a slow start. 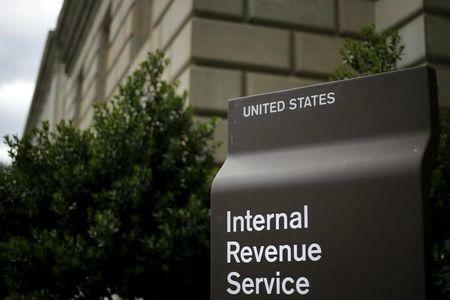 The number of people filing their taxes with the Internal Revenue Service is running well below last year. The number of returns received by the agency was off 8.5 percent from Jan. 23 through March 3. And refunds were down 7.1 percent in dollar terms (http://bit.ly/2mCcpv8). These numbers are usually flat year to year, so a significant drop in tax filings means something unusual is going on. One simple reason is a fluke of the calendar. The tax deadline is April 18 instead of the traditional April 15, which falls on a Saturday this year. This caused a slowdown among Andy Stadler's tax preparation clients in Terre Haute, Indiana. His office typically prepares 7,000 returns a year. The Path Act, as the new regulation is known, affected about 70 percent of the people in his area. Now that the delayed refund date has passed, Stadler expected a flood of late filers in April. In higher-income areas, some of the procrastinators are waiting for brokerage statements or paperwork known as K-1s, which details income from partnerships, trusts or S corporations. Jeffrey Schneider, an enrolled agent with offices in Port St. Lucie and Royal Palm Beach, Florida, said this was slowing down some of his clients. He has not even received the paperwork needed to complete his own taxes yet. Nevertheless, he is still working 12-hour days to get through the files already on his desk. An intangible factor gumming up the works this year is anxiety about the winds of change in Washington. Andy Stadler said he has called a few stragglers to ask why they have not yet made an appointment with him, and they explained that they did not want to file yet because they were waiting to see what President Donald Trump would do with the tax code. "I explained that whatever changes there would be would not be for 2016, Stadler said. "Then they came in and took care of things."